Not to be confused with Pound sterling. For the unit of weight or force, see Pound (force). "lb." and "lbs." redirect here; for other uses, see LB and LBS, respectively. The pound or pound-mass is a unit of mass used in the imperial, United States customary and other systems of measurement. Various definitions have been used; the most common today is the international avoirdupois pound, which is legally defined as exactly 6999453592370000000♠0.45359237 kilograms, and which is divided into 16 avoirdupois ounces. The international standard symbol for the avoirdupois pound is lb; an alternative symbol is lbm (for most pound definitions), # (chiefly in the U.S.), and ℔ or ″̶ (specifically for the apothecaries' pound). The unit is descended from the Roman libra (hence the abbreviation "lb"). The English word pound is cognate with, among others, German Pfund, Dutch pond, and Swedish pund. All ultimately derive from a borrowing into Proto-Germanic of the Latin expression lībra pondō ("a pound by weight"), in which the word pondō is the ablative case of the Latin noun pondus ("weight"). Usage of the unqualified term pound reflects the historical conflation of mass and weight. This accounts for the modern distinguishing terms pound-mass and pound-force. The United States and countries of the Commonwealth of Nations agreed upon common definitions for the pound and the yard. Since 1 July 1959, the international avoirdupois pound (symbol lb) has been defined as exactly 6999453592370000000♠0.45359237 kg. In the United Kingdom, the use of the international pound was implemented in the Weights and Measures Act 1963. The yard or the metre shall be the unit of measurement of length and the pound or the kilogram shall be the unit of measurement of mass by reference to which any measurement involving a measurement of length or mass shall be made in the United Kingdom; and- (a) the yard shall be 0.9144 metre exactly; (b) the pound shall be 0.45359237 kilogram exactly. An avoirdupois pound is equal to 16 avoirdupois ounces and to exactly 7,000 grains. The conversion factor between the kilogram and the international pound was therefore chosen to be divisible by 7, and an (international) grain is thus equal to exactly 7001647989100000000♠64.79891 milligrams. In the UK, the process of metrication and European units of measurement directives were expected to eliminate the use of the pound and ounce, but in 2007 the European Commission abandoned the requirement for metric-only labelling on packaged goods there, and allowed for dual metric–imperial marking to continue indefinitely. When used as a measurement of body weight the UK practice remains to use the stone of 14 pounds as the primary measure e.g. "11 stone 4 pounds", rather than "158 pounds" (as done in the US), or "72 kilograms" as used elsewhere. The US has not adopted the metric system despite many efforts to do so, and the pound remains widely used as one of the key United States customary units. Comparison of the relative sizes of avoirdupois, troy, Tower, merchant and London pounds. Historically, in different parts of the world, at different points in time, and for different applications, the pound (or its translation) has referred to broadly similar but not identical standards of mass or force. The libra (Latin for "scales / balance") is an ancient Roman unit of mass that was equivalent to approximately 328.9 grams. It was divided into 12 unciae (singular: uncia), or ounces. The libra is the origin of the abbreviation for pound, "lb". A number of different definitions of the pound have historically been used in Britain. Amongst these were the avoirdupois pound and the obsolete Tower, merchant's and London pounds. Troy pounds and ounces remain in use only for the weight of certain precious metals, especially in the trade; these are normally quoted just in ounces (e.g. "500 ounces") and, when the type of ounce is not explicitly stated, the troy system is assumed. Historically, the pound sterling was a Tower pound of silver. In 1528, the standard was changed to the Troy pound. The avoirdupois pound, also known as the wool pound, first came into general use c. 1300. It was initially equal to 6992 troy grains. The pound avoirdupois was divided into 16 ounces. During the reign of Queen Elizabeth, the avoirdupois pound was redefined as 7,000 troy grains. Since then, the grain has often been an integral part of the avoirdupois system. By 1758, two Elizabethan Exchequer standard weights for the avoirdupois pound existed, and when measured in troy grains they were found to be of 7,002 grains and 6,999 grains. In the United Kingdom, weights and measures have been defined by a long series of Acts of Parliament, the intention of which has been to regulate the sale of commodities. Materials traded in the marketplace are quantified according to accepted units and standards in order to avoid fraud. The standards themselves are legally defined so as to facilitate the resolution of disputes brought to the courts; only legally defined measures will be recognised by the courts. Quantifying devices used by traders (weights, weighing machines, containers of volumes, measures of length) are subject to official inspection, and penalties apply if they are fraudulent. The Weights and Measures Act of 1878 marked a major overhaul of the British system of weights and measures, and the definition of the pound given there remained in force until the 1960s. The pound was defined thus (Section 4) "The ... platinum weight ... deposited in the Standards department of the Board of Trade ... shall continue to be the imperial standard of ... weight ... and the said platinum weight shall continue to be the Imperial Standard for determining the Imperial Standard Pound for the United Kingdom". Paragraph 13 states that the weight in vacuo of this standard shall be called the Imperial Standard Pound, and that all other weights mentioned in the act and permissible for commerce shall be ascertained from it alone. The First Schedule of the Act gave more details of the standard pound: it is a platinum cylinder nearly 1.35 inches (34 mm) high, and 1.15 inches (29 mm) diameter, and the edges are carefully rounded off. It has a groove about 0.34 inches (8.6 mm) from the top, to allow the cylinder to be lifted using an ivory fork. It was constructed following the destruction of the Houses of Parliament by fire in 1834, and is stamped P.S. 1844, 1 lb (P.S. stands for "Parliamentary Standard"). The pound was redefined in the United Kingdom in 1963 relative to the kilogram. The 1878 Act said that contracts worded in terms of metric units would be deemed by the courts to be made according to the Imperial units defined in the Act, and a table of metric equivalents was supplied so that the Imperial equivalents could be legally calculated. This defined, in UK law, metric units in terms of Imperial ones. The equivalence for the pound was given as 1 lb = 6999453592650000000♠453.59265 g or 0.45359 kg, which made the kilogram equivalent to about 6999999999400419481♠2.2046213 lb. In 1883, it was determined jointly by the Standards Department of the Board of Trade and the Bureau International that 6999453592427700000♠0.4535924277 kg was a better approximation, and this figure, rounded to 6999453592430000000♠0.45359243 kg was given legal status by an Order in Council in May 1898. However, in 1963, a new Weights and Measures Act reversed this relationship and the pound was defined for the first time as a mass equal to 6999453592370000000♠0.45359237 kg to match the definition of the international pound agreed in 1959. A troy pound is equal to 12 troy ounces and to 5,760 grains, that is exactly 7002373241721600000♠373.2417216 grams. Troy weights were used in England by jewellers. Apothecaries also used the troy pound and ounce, but added the drachms and scruples unit in the Apothecaries' system of weights. Troy weight may take its name from the French market town of Troyes in France where English merchants traded at least as early as the early 9th century. The troy pound is no longer in general use or a legal unit for trade (it was abolished in the United Kingdom on 6 January 1879 by the Weights and Measures Act of 1878), but the troy ounce, ​1⁄12 of a troy pound, is still used for measurements of gems such as opals, and precious metals such as silver, platinum and particularly gold. The system called Tower weight was the more general name for King Offa's pound. This dates to 757 AD and was based on the silver penny. This in turn was struck over Arabic dirhams (2d). The pound was based on the weight of 120 Arabic silver dirhams, which have been found in Offa's Dyke. The same coin weight was used throughout the Hanseatic League. The Tower pound was also called the Moneyers' Pound (referring to the Saxon moneyers before the Conquest), the easterling pound, which may refer to traders of eastern Germany, or to traders on the shore of the eastern Baltic sea, or dealers of Asiatic goods who settled at the Steelyard wharf; and the Rochelle Pound by French writers, because it was also in use at Rochelle. An almost identical weight was employed by the Germans for weighing gold and silver. The mercantile pound (1304) of 6750 troy grains, or 9600 Tower grains, derives from this pound, as 25 shilling-weights or 15 Tower ounces, for general commercial use. Multiple pounds based on the same ounce were quite common. In much of Europe, the apothecaries' and commercial pounds were different numbers of the same ounce. The Tower system was referenced to a standard prototype found in the Tower of London and ran concurrently with the avoirdupois and troy systems until the reign of Henry VIII, when a royal proclamation dated 1526 required that the troy pound to be used for mint purposes instead of the Tower pound. No standards of the Tower pound are known to have survived. The Tower pound was equivalent to about 350 grams. The merchants' pound (mercantile pound, libra mercantoria, or commercial pound) was considered to be composed of 25 rather than 20 Tower shillings of 12 pence. It was equal to 9,600 wheat grains (15 tower ounces or 6,750 grains) and was used in England until the 14th century for goods other than money and medicine ("electuaries"). The London pound is that of the Hansa, as used in their various trading places. The London pound is based on 16 ounces, each ounce divided as the tower ounce. It never became a legal standard in England; the use of this pound waxed and waned with the influence of the Hansa itself. A London pound was equal to 7,200 troy grains (16 troy ounces) or, equivalently, 10,240 tower grains (16 tower ounces). In the United States, the avoirdupois pound as a unit of mass has been officially defined in terms of the kilogram since the Mendenhall Order of 1893. That Order defined the pound to be 7000220461999999999♠2.20462 pounds to a kilogram. The following year, this relationship was refined as 7000220462233999999♠2.20462234 pounds to a kilogram, following a determination of the British pound. In 1959, the United States National Bureau of Standards redefined the pound (avoirdupois) to be exactly equal to 0.453 592 37 kilograms, which had been designated as the International Pound. According to a 1959 NIST publication, the United States 1894 pound differed from the international pound by approximately one part in 10 million. The difference is so insignificant that it can be ignored for almost all practical purposes. 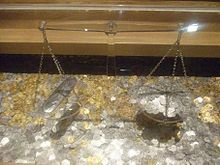 The Byzantines used a series of measurements known as pounds (Latin: libra, Greek: λίτρα, litra). The most common was the logarikē litra (λογαρική λίτρα, "pound of account"), established by Constantine the Great in 309/310. It formed the basis of the Byzantine monetary system, with one litra of gold equivalent to 72 solidi. A hundred litrai were known as a kentēnarion (κεντηνάριον, "hundredweight"). Its weight seems to have decreased gradually from the original 324 grams to 319. Due to its association with gold, it was also known as the chrysaphikē litra (χρυσαφική λίτρα, "gold pound") or thalassia litra (θαλάσσια λίτρα, "maritime pound"), but it could also be used as a measure of land, equalling a fortieth of the thalassios modios. The soualia litra was specifically used for weighing olive oil or wood, and corresponded to 4/5 of the logarikē, i.e. 256 g. Some outlying regions, especially in later times, adopted various local measures, based on Italian, Arab or Turkish measures. The most important of these was the argyrikē litra (αργυρική λίτρα, "silver pound") of 333 g, found in Trebizond and Cyprus, and probably of Arab origin. Since the Middle Ages, various pounds (livre) have been used in France. Since the 19th century, a livre has referred to the metric pound, 500g. The livre esterlin was equivalent to about 367.1 grams (5,665 gr) and was used between the late 9th century and the mid-14th century. The livre poids de marc or livre de Paris was equivalent to about 489.5 grams (7,554 gr) and was used between the 1350s and the late 18th century. It was introduced by the government of John II. The livre métrique was set equal to the kilogram by the decree of 13 Brumaire an IX between 1800 and 1812. This was a form of official metric pound. The livre usuelle (customary unit) was defined as 500 grams by the decree of 28 March 1812. It was abolished as a unit of mass effective 1 January 1840 by a decree of 4 July 1837, but is still used informally. Originally derived from the Roman libra, the definition varied throughout Germany in the Middle Ages and onward. The measures and weights of the Habsburg monarchy were reformed in 1761 by Empress Maria Theresia of Austria. The unusually heavy Habsburg (civil) pound of 16 ounces was later defined in terms of 560.012 grams. Bavarian reforms in 1809 and 1811 adopted essentially the same standard pound. In Prussia, a reform in 1816 defined a uniform civil pound in terms of the Prussian foot and distilled water, resulting in a Prussian pound of 467.711 grams. Between 1803 and 1815, all German regions west of the River Rhine were French, organised in the departements: Roer, Sarre, Rhin-et-Moselle, and Mont-Tonnerre. As a result of the Congress of Vienna, these became part of various German states. However, many of these regions retained the metric system and adopted a metric pound of precisely 500 grams. In 1854, the pound of 500 grams also became the official mass standard of the German Customs Union, but local pounds continued to co-exist with the Zollverein pound for some time in some German states. Nowadays, the term Pfund is still in common use and universally refers to a pound of 500 grams. The Russian pound (Фунт, funt) is an obsolete Russian unit of measurement of mass. It is equal to 409.51718 grams. In 1899, the Russian pound was the basic unit of weight and all other units of weight were formed from it. The Skålpund was a Scandinavian measurement that varied in weight between regions. From the 17th century onward, it was equal to 425.076 grams in Sweden but was abandoned in 1889 when Sweden switched to the metric system. In Norway, the same name was used for a weight of 498.1 grams. In Denmark, it equalled 471 grams. In the 19th century, Denmark followed Germany's lead and redefined the pound as 500 grams. In the 15th century, the arratel was of 14 ounces of Colonha or 400.6 g. The Portuguese libra was the same as 2 arrátels. There were also arratels of 12.5 and 13 ounces and libras of 15 and 16 ounces. The Troyes or Tria standard was also used. A Jersey pound is an obsolete unit of mass used on the island of Jersey from the 14th century to the 19th century. It was equivalent to about 7,561 grains (490 grams). It may have been derived from the French livre poids de marc. The trone pound is one of a number of obsolete Scottish units of measurement. It was equivalent to between 21 and 28 avoirdupois ounces (about 600-800 grams). In many countries, upon the introduction of a metric system, the pound (or its translation) became an informal term for 500 grams. In German, the term is Pfund, in French livre, in Dutch pond, in Spanish and Portuguese libra, in Italian libbra, and in Danish and Swedish pund. Though not from the same linguistic origin, the Chinese jīn (斤, also known as "catty") has a modern definition of exactly 500 grams, divided into 10 liǎng (两). Traditionally about 605 grams, the jin has been in use for more than two thousand years, serving the same purpose as "pound" for the common-use measure of weight. Hundreds of older pounds were replaced in this way. Examples of the older pounds are one of around 459 to 460 grams in Spain, Portugal, and Latin America; one of 498.1 grams in Norway; and several different ones in what is now Germany. Although the use of the pound as an informal term persists in these countries to a varying degree, scales and measuring devices are denominated only in grams and kilograms. A pound of product must be determined by weighing the product in grams as the use of the pound is not sanctioned for trade within the European Union. Smoothbore cannon and carronades are designated by the weight in imperial pounds of round solid iron shot of diameter to fit the barrel. A cannon that fires a six-pound ball, for example, is called a six-pounder. Standard sizes are 6, 12, 18, 24, 32 and 42 pounds; 68-pounders also exist, and other nonstandard weapons use the same scheme. See carronade. A similar definition, using lead balls, exists for determining the gauge of shotguns. ^ a b United States National Bureau of Standards (25 June 1959). "Notices "Refinement of values for the yard and the pound"" (PDF). Retrieved 12 August 2006. ^ "unicode chart 2100-214F" (PDF). character 2114 of the Unicode 6.0 and 5.0 standards. Unicode Consortium. Retrieved 28 April 2011. ^ "The Dictionary of Medical and Surgical Knowledge". Retrieved 22 September 2016. ^ United States. National Bureau of Standards (1959). Research Highlights of the National Bureau of Standards. U.S. Department of Commerce, National Bureau of Standards. p. 13. Retrieved 12 July 2012. ^ National Bureau of Standards, Appendix 8 Archived 18 January 2009 at the Wayback Machine; National Physical Laboratory, P H Bigg et al. : Re-determination of the values of the imperial standard pound and of its parliamentary copies in terms of the international kilogramme during the years 1960 and 1961; Sizes.com: pound avoirdupois. ^ Quoted by Laws LJ in " EWHC 195 (Admin)". Retrieved 12 August 2006. ^ "EU gives up on 'metric Britain". BBC News. 11 September 2007. Retrieved 4 May 2015. ^ Kelly, Jon (21 December 2011). "Will British people ever think in metric?". BBC. Retrieved 4 May 2015. ^ Christine Hopkins, Ann Pope, Sandy Pepperell (2013). "Understanding Primary Mathematics". p. 195. Routledge. ^ "Appendix G – Weights and Measures". The World Factbook. Central Intelligence Agency. 17 January 2007. Retrieved 4 February 2007. ^ The pound is often described as a unit of "weight", and the word "weight" can refer to either mass or force depending on context. Historically and in common parlance, "weight" refers to mass, but weight as used in modern physics is a force. ^ Zupko, Ronald Edward (1977). British weights & measures: a history from antiquity to the seventeenth century. University of Wisconsin Press. p. 7. Retrieved 27 November 2011. ^ Frederick George Skinner (1967). Weights and measures: their ancient origins and their development in Great Britain up to A.D. 1855. H.M.S.O. p. 65. Retrieved 27 November 2011. ^ Chambers's encyclopaedia. 14. Pergamon Press. 1967. p. 476. Retrieved 27 November 2011. ^ Grains and drams, ounces and pounds, stones and tons. Personal notes. ^ Skinner, F.G. (1952). "The English Yard and Pound Weight". Bulletin of the British Society for the History of Science. 1 (7): 184–6. doi:10.1017/S0950563600000646. ^ United States. National Bureau of Standards (1962). weights and measures. Taylor & Francis. pp. 22–24. GGKEY:4KXNZ63BNUF. Retrieved 26 December 2011. ^ a b Barbrow, L.E. ; Judson, L.V. (1976). Weights and measures standards of the United States – A brief history. Archived from the original on 11 May 2008. ^ United States National Bureau of Standards. "Appendix C of NIST Handbook 44, Specifications, Tolerances, and Other Technical Requirements for Weighing and Measuring Devices, General Tables of Units of Measurement" (PDF). p. C-14. ^ a b c Zupko, Ronald Edward (1 December 1985). Dictionary of Weights and Measures for the British Isles: The Middle Ages to the 20th Century. DIANE Publishing. ISBN 0-87169-168-X. ^ "Tower pound". Retrieved 17 September 2016. ^ Facsimile of First Volume of Ms. Archives of the Worshipful Company of Grocers of the City of London A.D. 1345-1463. 1886. ^ The English manual of banking. Retrieved 17 September 2016. ^ A proclamation of Henry VIII, 5 November 1526. Proclamation 112 in Paul L. Hughes and James F. Larkin, editors. Tudor Royal Proclamations. Volume 1. New Haven: Yale University Press,1964. ^ R. D. Connor and A. D. C. Simpson.Weights and Measures in Scotland. A European Perspective.National Museums of Scotland and Tuckwell Press, 2004, page 116, quoting from H. W. Chisholm, Seventh Annual Report of the Warden for the Standards..for 1872-73 (London, 1873), quoting from 1864 House of Commons Paper. ^ "Weights used for gold". Tax Free Gold. Retrieved 14 January 2011. ^ "A brief history of the pound". The Dozenal Society of Great Britain. Retrieved 14 January 2011. ^ a b Schilbach, Erich (1991). "Litra". In Kazhdan, Alexander P. (ed.). Oxford Dictionary of Byzantium. Oxford University Press. p. 1238. ISBN 0-19-504652-8. ^ a b c d Sizes, Inc. (16 March 2001). "Pre-metric French units of mass livre and smaller". Retrieved 12 August 2006. ^ Hille, K.C. (1831). "Medicinal-Gewicht". Magazin für Pharmacie und die dahin einschlagenden Wissenschaften. Heidelberg: 268. ^ Cardarelli, F. (2004). Encyclopaedia of Scientific Units, Weights and Measures: Their SI Equivalences and Origins (2nd ed.). Springer. p. 122. ISBN 1-85233-682-X. ^ Luís Seabra Lopes, "As Pilhas de Pesos de Dom Manuel I: Contributo para a sua Caracterização, Inventariação e Avaliação", Portugalia: Nova Série, vol. 39, Universidade do Porto, 2018, p. 217-251. ^ Luís Seabra Lopes, "Sistemas Legais de Medidas de Peso e Capacidade, do Condado Portucalense ao Século XVI", Portugalia: Nova Série, vol. 24, 2003, p. 113-164. ^ Sizes, Inc. (28 July 2003). "Jersey pound". Retrieved 12 August 2006. ^ The Council of the European Communities (27 May 2009). "Council Directive 80/181/EEC of 20 December 1979 on the approximation of the laws of the Member States relating to Unit of measurement and on the repeal of Directive 71/354/EEC". Retrieved 14 September 2009. Look up pound in Wiktionary, the free dictionary. The gram is a metric system unit of mass. Troy weight is a system of units of mass that originated in 15th-century England, and is primarily used today in the precious metals industry. Its units are the grain, pennyweight, troy ounce, and troy pound. The grain is the same grain used in the more common avoirdupois system. By contrast, the troy ounce is heavier than the avoirdupois ounce, while the troy pound is lighter than the avoirdupois pound. A grain is a unit of measurement of mass, and in the troy weight, avoirdupois, and Apothecaries' system, equal to exactly 64.79891 milligrams. It is nominally based upon the mass of a single virtual ideal seed of a cereal. From the Bronze Age into the Renaissance the average masses of wheat and barley grains were part of the legal definitions of units of mass. Rather, expressions such as "thirty-two grains of wheat, taken from the middle of the ear" appear to have been ritualistic formulas, essentially the premodern equivalent of legal boilerplate. Another source states that it was defined as the weight needed for 252.458 units to balance a cubic inch of distilled water at 30 inches of mercury pressure and 62 degrees Fahrenheit for both the air and water. Another book states that Captain Henry Kater, of the British Standards Commission, arrived at this value experimentally. The avoirdupois system is a measurement system of weights which uses pounds and ounces as units. It was first commonly used in the 13th century and was updated in 1959. 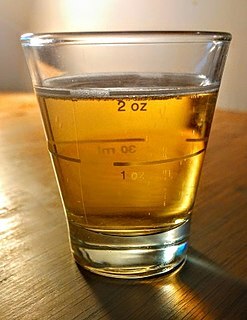 A fluid ounce is a unit of volume typically used for measuring liquids. Various definitions have been used throughout history, but only two are still in common use: the British Imperial and the United States customary fluid ounce. A bushel is an imperial and US customary unit of weight or mass based upon an earlier measure of dry capacity. The old bushel was equal to 2 kennings (obsolete), 4 pecks or 8 dry gallons and was used mostly for agricultural products such as wheat. In modern usage, the volume is nominal, with bushels denoting a mass defined differently for each commodity. The pound was a unit of account in Anglo-Saxon England, equal to 240 silver pennies and equivalent to one pound weight of silver. According to the Daily Telegraph it came into use around 775. It evolved into the modern British currency, the pound sterling. The apothecaries' system or apothecaries' weights and measures is a historical system of mass and volume units that were used by physicians and apothecaries for medical recipes, and also sometimes by scientists. 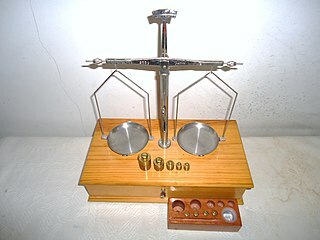 The English version of the system is closely related to the English troy system of weights, the pound and grain being exactly the same in both. It divides a pound into 12 ounces, an ounce into 8 drachms, and a drachm into 3 scruples or 60 grains. This exact form of the system was used in the United Kingdom; in some of its former colonies it survived well into the 20th century. The apothecaries' system of measures is a similar system of volume units based on the fluid ounce. For a long time, medical recipes were written in Latin, often using special symbols to denote weights and measures. The cup is a cooking measure of volume, commonly associated with cooking and serving sizes. It is traditionally equal to half a liquid pint in US customary units but is now separately defined in terms of the metric system at values between ​1⁄5 and ​1⁄4 of a litre. Because actual drinking cups may differ greatly from the size of this unit, standard measuring cups are usually used instead. The imperial system of measurement and the US customary system of measurement are both derived from an earlier English system of measurement which in turn can be traced back to Ancient Roman units of measurement, and Carolingian and Saxon units of measure.